Calms your body, mind, and spirit! Perfect for those needing relief from chronic pain, especially in the back, neck, and shoulders. Deep tissue massage is the most popular service at Zama. The main benefit of this se rvice is to alleviate pain in your body, usually the neck, upper back and shoulders, or the low back. Sometimes this pain is associated with playing sports or frequent activity, or results from an injury, such as a fall or car accident. Pain can also be present in our bodies because of prolonged poor posture, or a lack of proper ergonomics at work. Deep tissue massage uses some of the same massage strokes that you would experience in a relaxing Swedish massage, however, the pressure is generally firmer. 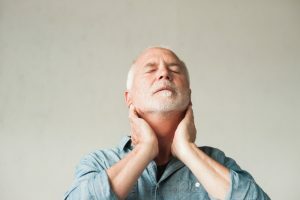 It also involves focusing prolonged pressure on the inner layers of the muscle fibers and connective tissue, or fascia, and going against the grain of the muscle tissue to break up adhesions or “knots” that are causing your discomfort. While working out those tight spots, your therapist is assisting your body by opening up the damaged tissue and flushing out toxins. Deep tissue massage is therapeutic. It is normal to feel some discomfort, but it is imperative that you communicate with your therapist when you feel you have reached your pain threshold. We highly recommend that you hydrate well after any massage, especially deep ones. Your therapist will be breaking up scar tissue and flushing out toxins. Proper hydration will insure that you don’t leave with a headache or feel sore the next day. You can deepen your experience even more at home after your massage with epsom salt baths, which will expedite healing and tame inflammation. We highly recommend stocking up on epsom salts to aid in your healing and recovery at home. We highly recommend deep tissue massage for injuries! Deep tissue massage is recommended for anyone with chronic or acute pain, and is used in treating soft tissue injury due to auto accidents. It also aids in recovery from sports related injuries. Book your Deep Tissue Massage at Zama today!